≈ Comments Off on MAGNIFICENT MONTREAL! I am incredibly excited about the overwhelming response to XACT CONDOS, one of the residences our Quebec branch, Immobilier Baker, is representing in that fabulous city. The scene on opening was right out of Toronto, with potential purchasers lining up for days for a chance to buy. 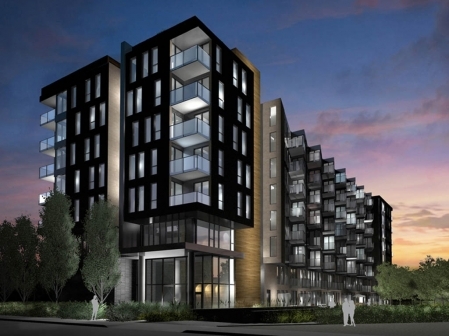 We are delighted at how well our new condominiums are being received by the Montreal market. In fact, we represent several other condos that have proven so successful, that they are all well under construction. Before Christmas 2013, owners began moving into Onyx Condominiums, the successful residence by developer Malen Capital, located in Côte-des-Neiges, only minutes from downtown. This coming holiday season, buyers will start moving into CD Capital Partners and Construction Garbarino’s mā condos parc & jardins, located in Le Triangle area in the heart of the city, in the award-winning rejuvenation project for which the City of Montreal has pledged $57 million. Construction on developer Fadi Melki’s Myst Condos next to the Atwater Market in the Canal District has already surpassed the fifth floor. On Victoria Square in the city’s Financial District, Redfoxco’s Le Victoire will rise to 24 storeys and will offer 360-degree views of the St-Lawrence River and the old-world European architecture of its historic surroundings. L/Avenue is Broccolini Construction’s 50-storey mixed-use residential high-rise across from Centre Bell, in the city’s downtown. The sight of cranes popping up across the city is truly exciting, and we are looking forward to a busy fall and winter with amazing new condos coming onto the market. We know first-hand about pent-up demand, so we anticipate more Toronto-style whirlwind to come!